When I decided to visit New Zealand on my honeymoon, I knew I had to see the Waitomo Caves glowworms! The last time I was in New Zealand, I was 17 on a school trip. 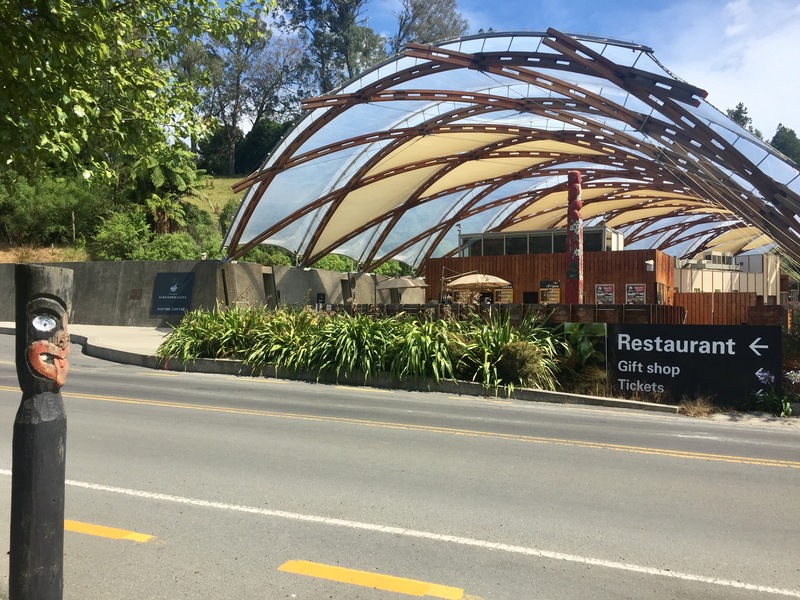 We had traveled 30+ hours (a big feat for me at the time, I was not the professional airport hobo you see today) and arrived in Auckland early in the morning, just to make the drive out to the Waitomo Caves and find out that they had closed due to flooding. Now, almost 15 years (yikes!) later, I was ready for a do over! 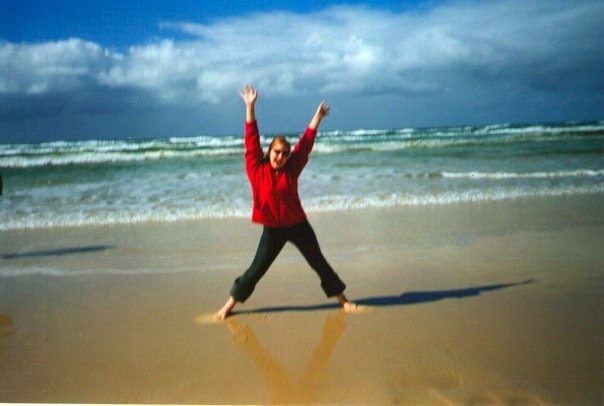 Quality disposable camera shot of baby Mags, last time I was in New Zealand and Australia. I only had 3 days in Auckland this time, and figuring out how to tackle the mountainous terrain, on the left side of the road, in a car that may end up being manual, was not on the itinerary. That’s where InterCity came to the rescue. 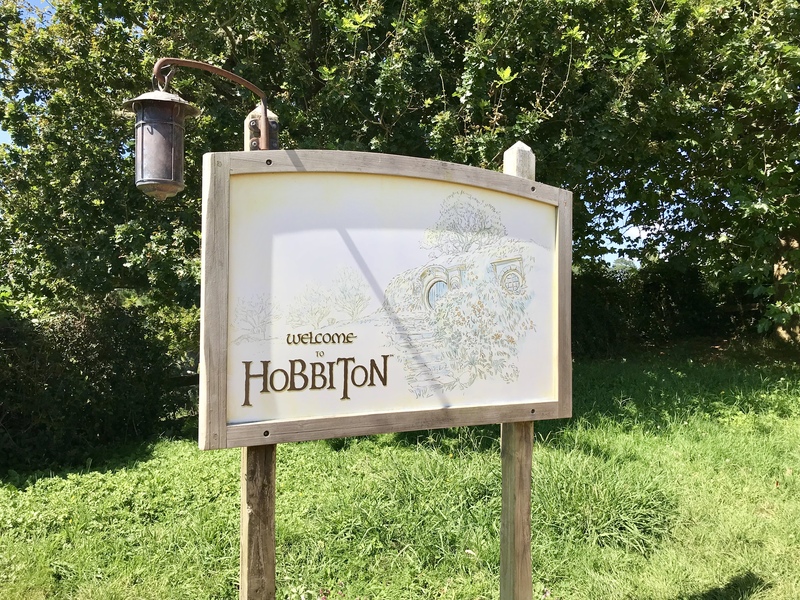 Not only did they offer an affordable bus tour of the Waitomo Caves round-trip from Auckland, they also coupled it with a tour of the Hobbiton Movie set! I was, admittedly, just in it for the glowworms since I’ve never actually seen or really wanted to see Lord Of The Rings. Actually, I think I may have seen the 3rd one in theatres when I was in high school because all of my friends were doing it. I just remember lots of walking and a bunch of false endings that felt like a tease. However I can now confidently say, even for a Lord Of The Rings cynic like me, Hobbiton is certainly worth a visit. The bus from Auckland left bright and early at 8am. Upon boarding we were given a couple of cookies (which I tried to ration for later in the day, but were gone within the first half hour) and a bottle of water. The buses themselves were very comfortable, which is very important. I’ve been on some rough bus rides in my day. The first leg of the drive from Auckland to Hobbiton takes about 2 and a half hours, which were filled with sightseeing out the bus window and fascinating commentary from our driver, Damian. We learned about the history of New Zealand, the Maori people, the mysterious people who came before the Maori people, the switch from sheep to dairy as New Zealand’s main export, and how New Zealand came to legalize prostitution. Damian really was a wealth of knowledge. He even got us to Hobbiton with enough time to spare before our tour for a much needed coffee and restroom break. As I said before, I am by no means a Lord Of The Rings fan, though after this tour I’m interested to give it another shot. 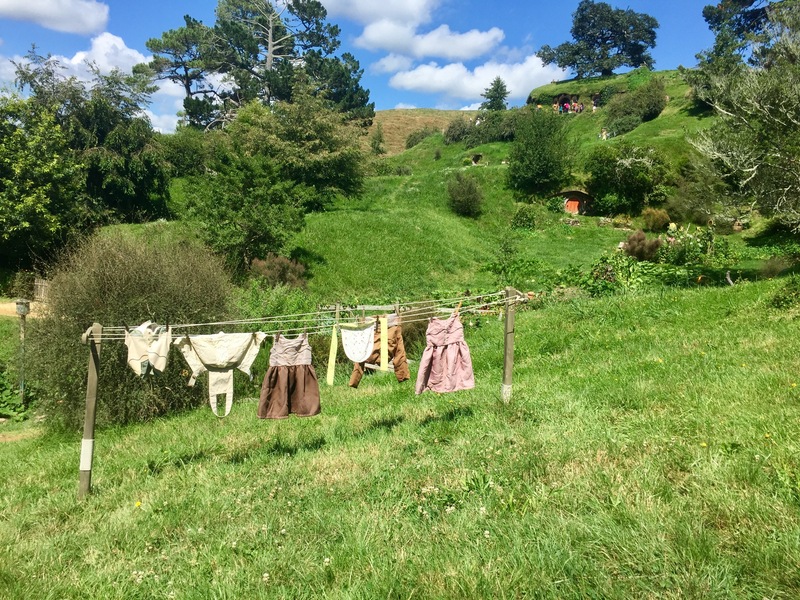 The rolling New Zealand countryside is reason enough to visit the Hobbiton Movie set, though I do wish I got to pet a sheep. This is the second version of Hobbiton. The first was built on the same sight, but out of cardboard and temporary materials. After the success of the first movie, the director, Peter Jackson, needed to rebuild parts for the sequels. The sheep farmer who owned the land agreed, under the condition that it would be made permanent so he can turn it into the tourist attraction that it is today. It was a brilliant idea on his part. There were loads of people there, and I would wager it makes him more money than sheep have ever made anyone. Lord of the Rings fandom is the real deal. There were many people on our tour who could tell you which lines were recited under which set piece, but the attention to every last detail on the set was incredible, even to a novice like me. From the use of forced perspective, to the tiny hobbit clothes, to the shape of the leaves graphed onto real trees to exactly replicate the book, it really is amazing to see. Of course, the best part of any tour is a visit to the bar and restaurant. The tour includes a free beer and lunch at The Green Dragon Inn. 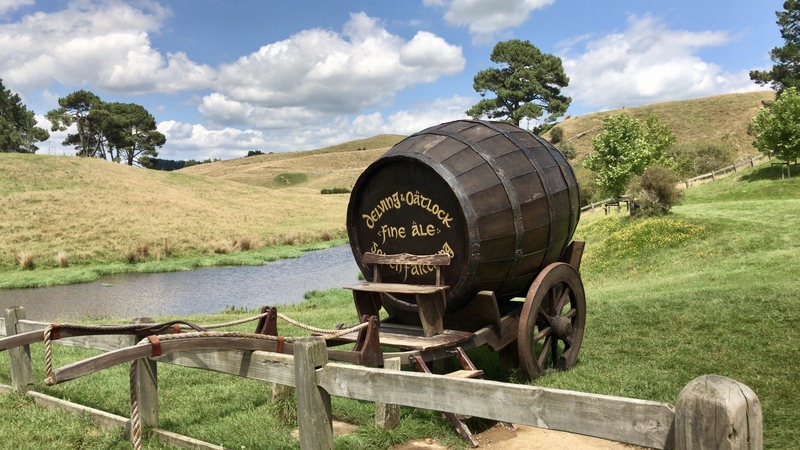 The beers are brewed exclusively for Hobbiton by local brewery, Good George Brewing. Guest on the tour can choose from Girdley Fine Grain (amber ale), Oatbarton Brew (traditional English Ale), Sackville Cider, and the non-alcoholic Frogmorton Ginger Beer. I got the amber ale and my husband, Steve, got the cider. Both were delicious. Drink in hand, it’s time for lunch! Lunch is served buffet style in a tented area of the Green Dragon Inn. While there are many people waiting, everyone is sat and dismissed to go to the buffet in a very orderly fashion, avoiding the usual buffet chaos. The buffet food was surprisingly good and varied. 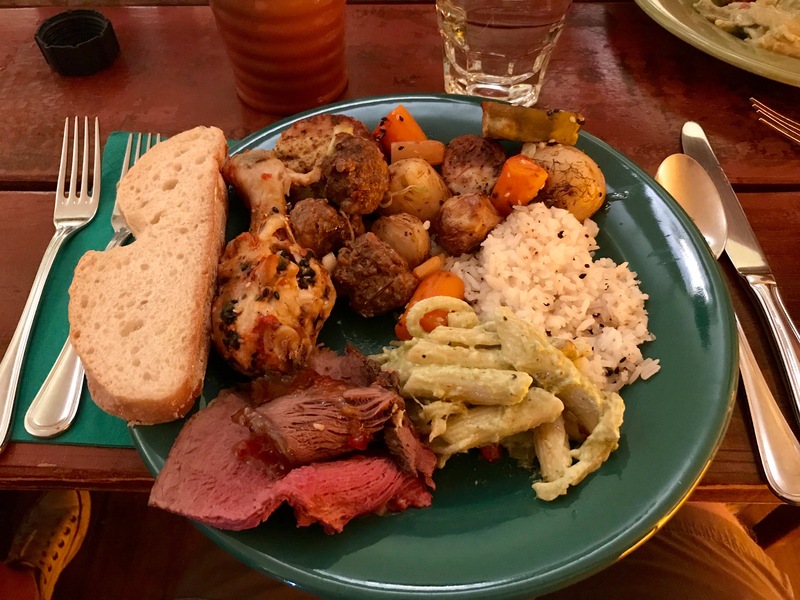 There were a couple of curries, soups, several sides and vegetables, fish, chicken, meatballs, a carving station and a formidable dessert table. Tourist stops like this rarely have food worth writing home about, but this was really outstanding… and just so much food! No one leaves this tour hungry! 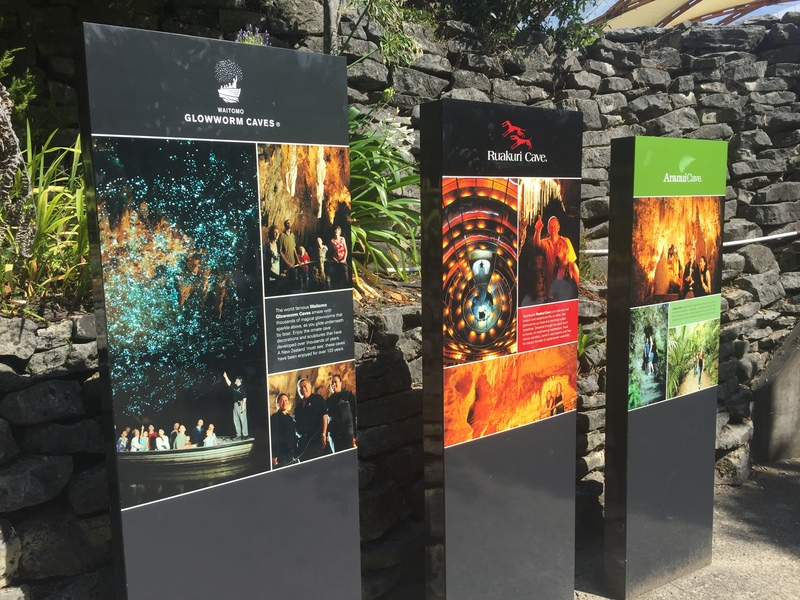 As much as I wanted to learn everything about the places we were visiting, with a belly full of curry, the next hour and a half drive to the Waitomo Caves was a challenge. I must admit I dozed off a little, but Steve caught me up on info I missed out on. I was so excited to finally get to see these glowworms that had eluded me for a decade and a half! Then as we pulled up, I got the bad news… no photos in the cave. I’m not sure the glowworms would have shown up too well anyway and I’m sure they’ve had enough dummies try to take flash pictures of the worms and ruin everything for everyone that it’s a rule born of necessity, but still disappointing. Once inside the caves, all disappointment subsided. The caves themselves were spectacular, and in the dark corners every so often there were little specks of blue/green light from the worms. I would have been satisfied with that, but they save the best for last. 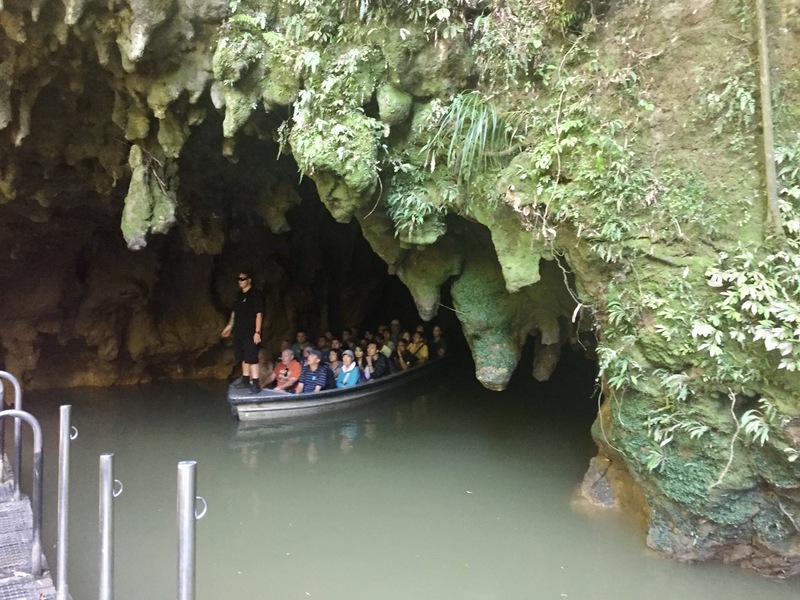 After the cave tour, guest are boarded into a boat for a 10 minute ride, in total silence and complete darkness through a canopy of glowworms. Thousands of glowworms dot the ceiling of the cave and look more like stars than gross worms. It really is a stunning experience, and well worth the 15 year wait. It’s easy to forget to actually experience a place when trying to document everything for a blog post or social media. Not being able to take photos was actually a welcome break. Sometimes we all just need to stop and smell the worms. *This post may contain links to affiliates or advertisers that help me travel the world! Best of the Fest -What to Order at the Epcot International Food and Wine Festival! Great, that place is looking so awesome and its things are really great to enjoy. 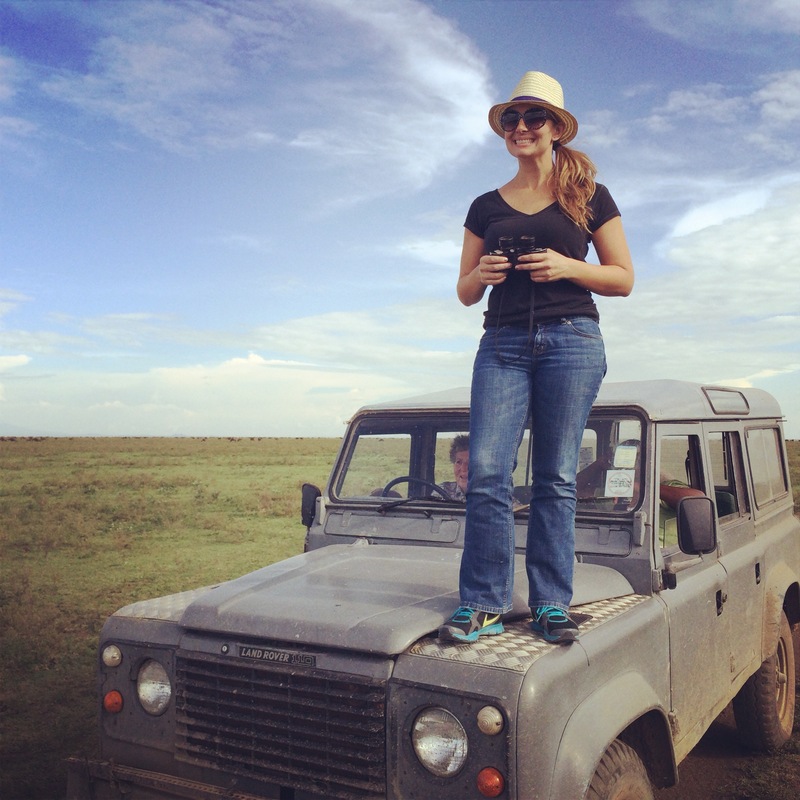 You shared great information about that beautiful place and stunning photos you shared. Never seen Harry Potter (I know that’s crazy of us) so we arent familiar with this. However, it sounds and looks amazing! What a cute set that seems so magical! So so happy you finally got to see the glow worms too after waiting so long. What a unique experience! I took the exactly same tour a couple of years back. 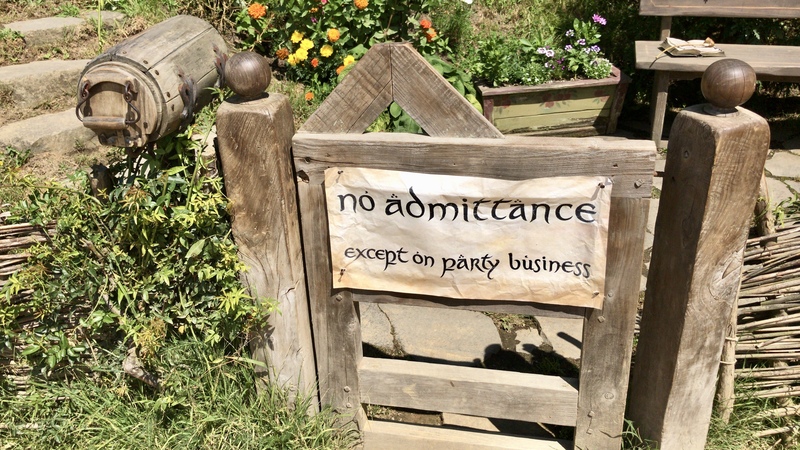 What I did not know then was that the only way to visit Hobbiton movie set is by taking an organised group tour and you can’t just venture there on your own, with a ticket. We landed there to take the tour and realised, there wasn’t any available for the next 4 hours so that’s when we took a detour to the glowworm caves, to kill the time. Both of them were amazing experiences and your post has brought back such great memories! We were in Auckland for 2 days and didn’t have time to do this tour. What a bummer for us! 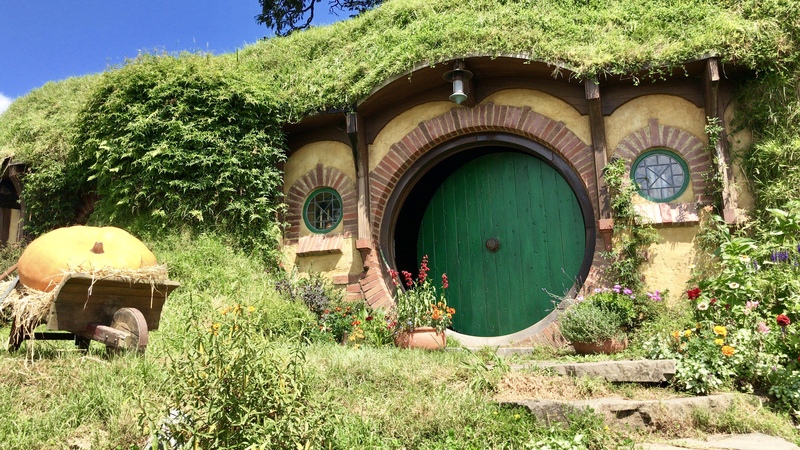 I live in New Zealand at the moment (Bay of Islands) and we really want to visit both Hobbiton and Waitomo Glow Worm Caves on our road trip this June. Glad to hear you had fun despite not being a LOTR fan. There can’t be a better destination than New Zealand for Honeymoon. Such a beautiful country. Can stay there forever. hobbiton and glowworm caves are uber popular and totally worth their popularity. I wish i could stay there forever. This looks like such a fun day out. 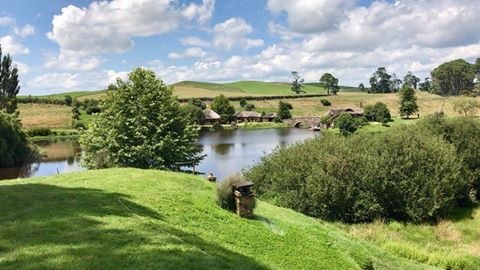 We were just talking about Hobbiton last night with a friend who is visiting from New Zealand so it was great to read this post today and enjoy your beautiful photos. I doubt that I will make it to NZ in the foreseeable future so thanks for sharing. Not a Lord of the Rings fan, but I can certainly appreciate your joy. Looks like you had a great time. Too bad you were not able to take pictures of the gloworms? I was looking forward to seeing what they look like. Congratulations on your wedding! 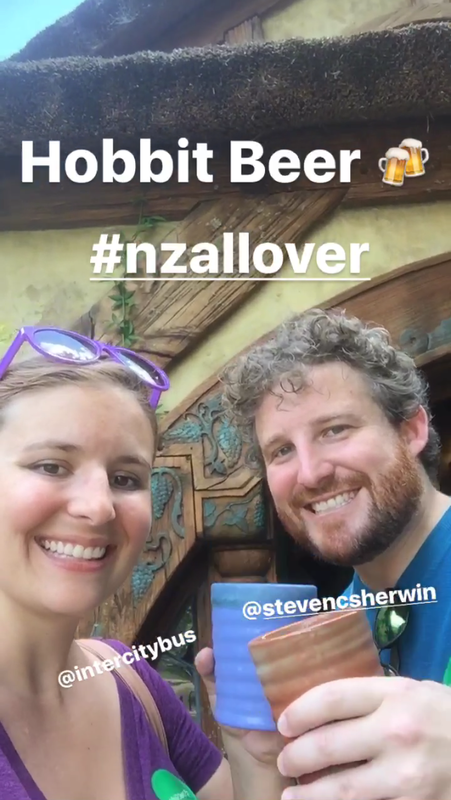 I’m glad a person who is not a fan of Tolkien can still appreciate a visit to Hobbiton, that’ll make it easier to convince my wife! The tour guide sounds amazing, I feel like I learned more about New Zealand already! I’m glad you finally got to see the glowworms and that is well worth the wait! And the trip comes with free cookies, beer and a delicious buffet? Maybe convincing my wife won’t be that hard! Thanks for the info! I’m a big fan of Lord of the Ring and I will definitely check out the Hobbit town!! I can totally imagine myself taking pic in front of the little cute house… I always want to go NZ but it’s just too far and expensive for me, I’m glad you made your move!! The blue worm cave sounds really fantastic too. I’m sure I will check it out too for a different experience. New Zealand has been at the top of my list to visit for quite some time now-I really need to get there! What a great spot to pick for your honeymoon! 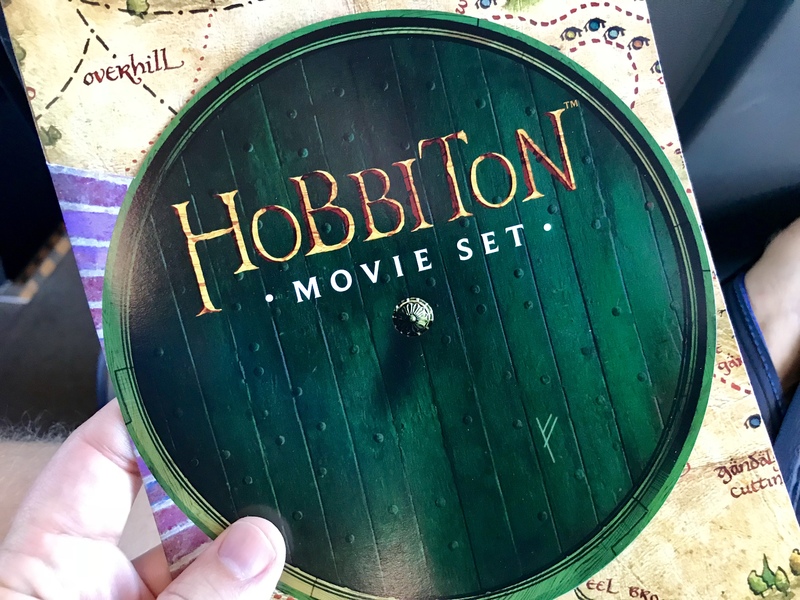 I’d love to check out the Hobbiton Movie Set-seeing spots where shows were filmed is always so exciting, and this one looks especially cool! I have to admit that I have never seen Lord of the Rings either, but I would still be excited to stop at the set, ha! It looks really neat and the detail does look pretty fascinating. 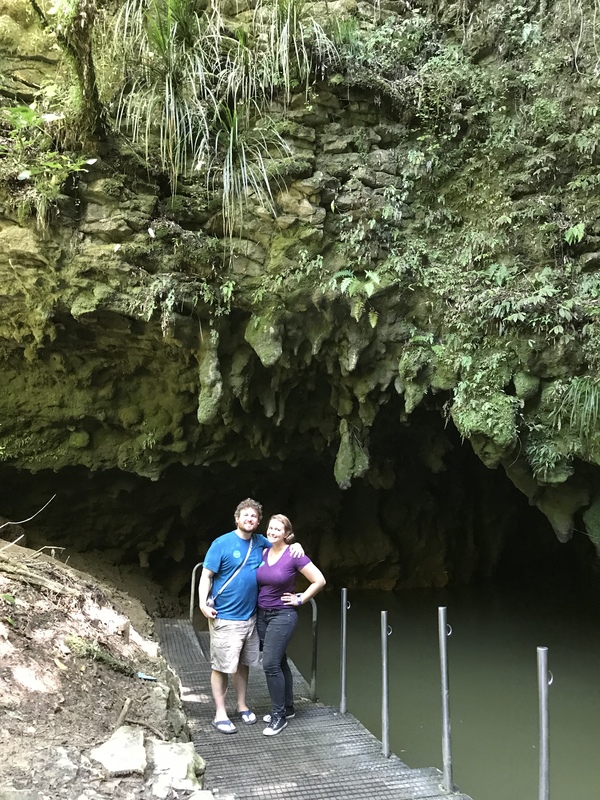 I’ve always wanted to go to Waitomo Caves too-glad to hear it was as amazing as it sounds, even if you couldn’t take photos! 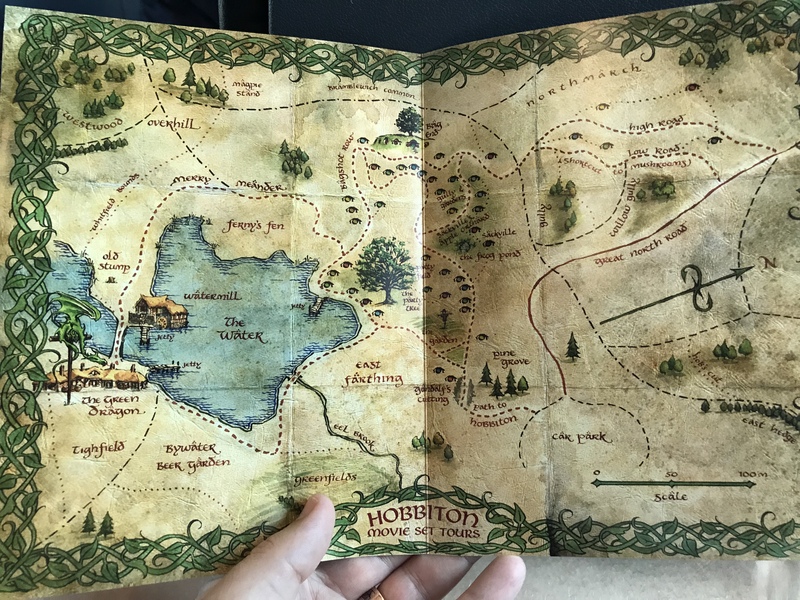 I never knew that an actual location like Hobbiton existed. I thought it was just another movie set. Hobbit food looks fun too. Nice aspect of NZ guys. Keep it up. Great post. Planning to go to NZ next winter and both glowworms and Hobbiton are on my list. I pinned your post so I can refer to it when I am planning. Liked the photos as well. Good to know no photos in cave so I won’t be disappointed. food looks super good – how are the prices here?